Roses are red, violets are blue, I have a great Valentines day treat for you!… OK that was bad… Don’t do bad cheese this Valentines day. Looking for something different to give for Valentines Day this year? Choose something you partner will cherish that won’t perish this year! Take a look at Heart Invites Love Story prints. 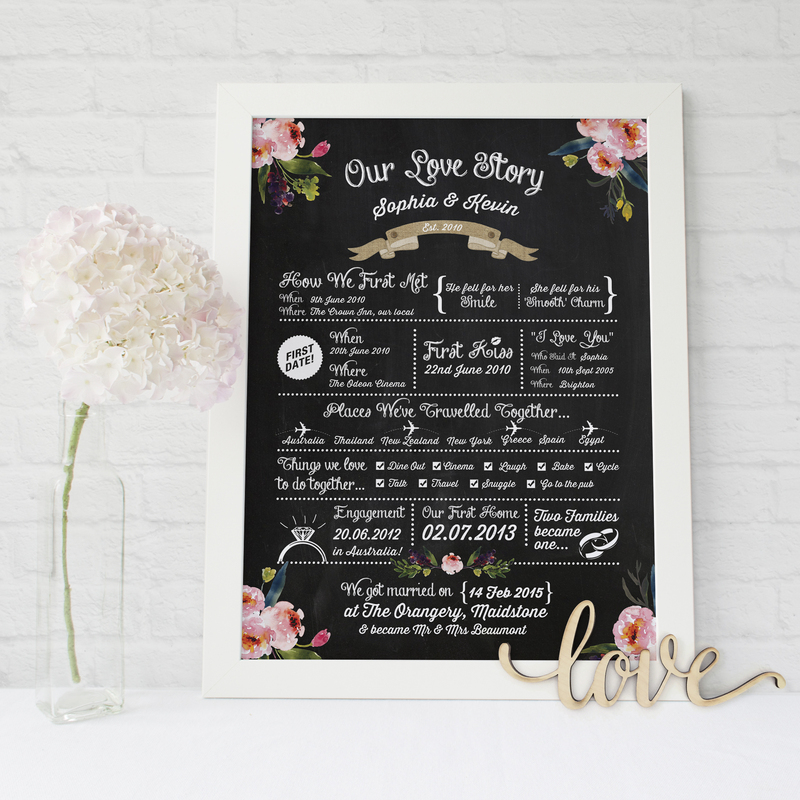 Each print tells the story of you and your partners journey together from the first kiss, to the ‘I Love Yous’, travelling the world, your first house together, right up to the present. The prints are fully bespoke, colour and text amends can be made throughout and bespoke designs are available if floral isn’t your thing!